Ghana’s multiple award winning Rapper Sarkodie has released the official visuals for his latest single “Trumpet”. 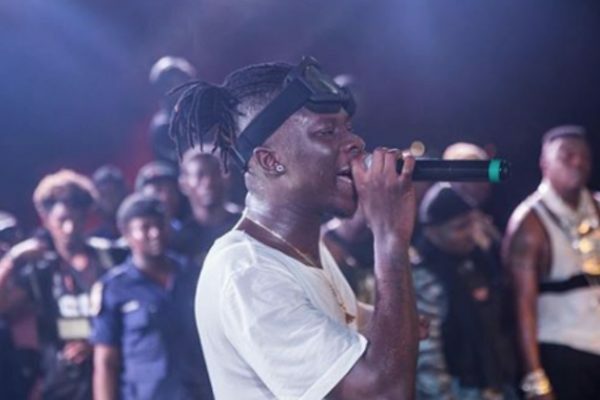 The BET award winner has given some of the strongest new skul GH Rappers a unique opportunity to show their Rap styles on the new hit single. The list of Rappers featured includes; TeePhlow, Medikal, Strongman, Koo Ntakra, Donzy & Pappy Kojo. VRMG Leader, Edem finally releases the much anticipated visuals for the Remix of his smash hit Hip Hop single, “Egboame”. He recruits fast rising young rappers like Medikal, TeePhlow, Bebelino, Mac M, Ayat, Darko and Cabum. The video was by directed by Pascal Aka and the song was produced by Magnum.